A prolific, genre-defying Chicago musician working in and beyond the jazz, rock and classical idioms. Karl E. H. Seigfried is a critically-acclaimed bassist and guitarist deeply involved in the Chicago music scene. He has performed and recorded in virtually all musical styles — jazz and classical, country and rock, traditional and avant-garde. He has received rave international reviews for his performances and compositions documented on twenty-seven recordings. Seigfried has formed collaborations that celebrate diversity and high-level musicianship. As a bandleader and composer, Karl has led groups featuring Ernest Dawkins, Jimmy Ellis, Nicole Mitchell and Jeff Parker. His recordings as a leader feature the best of Chicago's Young Lions, including Frank Rosaly and Greg Ward. [Karl's] a double-bassist of the first magnitude. Karl has performed duets with Bobby McFerrin, Fred Hopkins, Peter Kowald and Nik Turner and played in ensembles fronted by Roscoe Mitchell, Fred Anderson, Henry Grimes, George Lewis and Bertram Turetzky. He has also appeared on stage with Saturday Night Live's Martin Short. His recorded collaborations include work with members of Hawkwind, Gong, Jefferson Starship, Cartoon, Psychic TV and Lucky Leif & the Longships. Jazz fans will recognize Dr. Karl E. H. Seigfried from his tenure on acoustic double bass but will be entertained to see his wizardry on electric guitar. Karl produced, co-wrote and played bass and guitar for Of Alien Feelings, the new album by Calvin Weston, legendary drummer for Ornette Coleman, James "Blood" Ulmer, Derek Bailey, Marc Ribot, James Carter and many others. The album's lineup of players features a cross-section of virtuoso instrumentalists from modern jazz and progressive rock: Todd Rundgren (Utopia), John Medeski (Medeski Martin & Wood), Jack Walrath (Charles Mingus Quintet), John Helliwell (Supertramp), Jay Beckenstein (Spyro Gyra), Vernon Reid (Living Colour), Nik Turner (Hawkind) and Thijs van Leer (Focus). Click here to listen to samples of all tracks from the album. Some of the innovative jazz musicians who have come to public attention since the early 1990s are David Boykin, Karl E. H. Seigfried, Jeff Parker and Jim Baker. This new generation embraces a wide variety of styles and techniques, creating sounds that keep the jazz scene fresh and forever evolving in true Chicago style. Karl has played bass in big bands for nearly twenty years, including with such diverse groups as the AACM Great Black Music Ensemble and the Glenn Miller Orchestra. He is a founding member of Saalik Ziyad's NSA Ensemble, an intergenerational and multicultural group that plays completely original music. He has also performed with Alan Gresik's Swing Shift Orchestra, the swinging big band that has been in residency at Chicago's historic Green Mill since the 1990s. One of the Midwest’s most exciting free bassists. A long-time figure in the city’s improvised-music scene. Karl has performed as a soloist with both the Chicago Sinfonietta and the Rockford Symphony Orchestra. He has played Principal Bass behind soloists such as Emmanuel Ax, Joshua Bell, Evelyn Glennie, Hilary Hahn, Sharon Isbin, Yo-Yo Ma, Mark O'Connor and Itzhak Perlman. 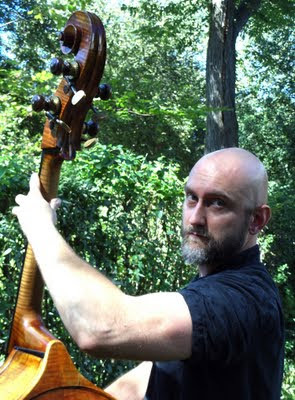 He is Principal Bassist of Chicago orchestras including the Chicago Modern Orchestra Project, Erato Chamber Orchestra, Mantra Blue Free Orchestra, New Black Music Repertory Ensemble, Skokie Valley Symphony Orchestra and St. Philip Neri Chamber Players. He was Principal Bassist for the Peoria Symphony Orchestra for a decade and held the same position with the Chicago Sinfonietta Chamber Ensemble, City Symphony of Chicago and Heartland Festival Orchestra. Among the best and the brightest from the Chicago avant-garde’s new generation. Dedicated to education, Karl is Adjunct Professor at Illinois Institute of Chicago and Seminar Faculty at Newberry Library. He also teaches private bass and guitar lessons in Chicago. 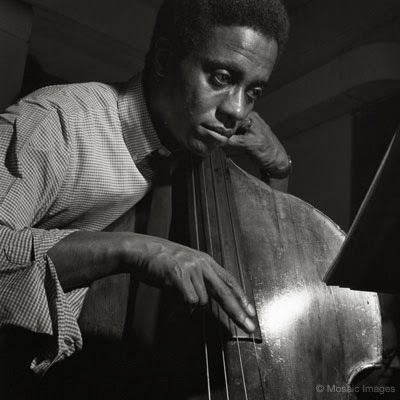 His doctoral dissertation — "At Once Old-Timey and Avant-Garde": The Innovation and Influence of Wilbur Ware — remains the only scholarly work on the great Chicago bassist. Karl’s a tremendous bassist - he’s versatile, technically adept and a very emotional player. Karl has long played the German 1890 Rubner Rune Bass, which has an inscription of runes burned into the side of the neck. His "new" bass is a 1900 Czech instrument formerly owned by Earl May, who played it for performances with jazz greats Gene Ammons, Miles Davis, Mercer Ellington, Coleman Hawkins, Charlie Parker, Sonny Stitt, Billy Taylor, Lester Young and many others. 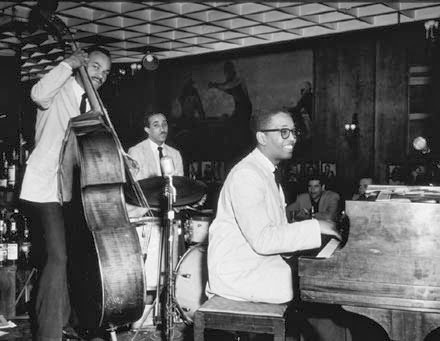 In 1954, Karl's former teacher Richard Davis purchased the bass from Earl and played it on classic recordings by Kenny Burrell, Eric Dolphy, Kenny Dorham, Lou Donaldson, Booker Ervin, Jimmy Forrest, Johnny Hartman, Joe Henderson, Andrew Hill, Milt Jackson, Roland Kirk, Hubert Laws, Jack McDuff, Gary McFarland, James Moody, Oliver Nelson, Sarah Vaughan and Ben Webster. Karl is a Velvet Strings Bass Artist and plays the Garbo Set for both classical and jazz. He's also a Music Man Bass Artist and plays the Reflex Bass 5 electric bass. Seigfried’s got a clear, ringing tone and executes ideas exuberantly.